THE PRESIDENT: I want to thank the leaders of both parties for being here today to discuss what is a very serious issue facing the United States. And the fact that I’ve had a chance to speak to many of you, and Congress as a whole is taking this issue with the soberness and seriousness that it deserves, is greatly appreciated and I think vindicates the decision for us to present this issue to Congress. As I’ve said last week, as Secretary Kerry made clear in his presentation last week, we have high confidence that Syria used, in an indiscriminate fashion, chemical weapons that killed thousands of people, including over 400 children, and in direct violation of the international norm against using chemical weapons. That poses a serious national security threat to the United States and to the region, and as a consequence, Assad and Syria needs to be held accountable. I’ve made a decision that America should take action. But I also believe that we will be much more effective, we will be stronger, if we take action together as one nation. And so this gives us an opportunity not only to present the evidence to all of the leading members of Congress and their various foreign policy committees as to why we have high confidence that chemical weapons were used and that Assad used them, but it also gives us an opportunity to discuss why it’s so important that he be held to account. This norm against using chemical weapons that 98 percent of the world agrees to is there for a reason: Because we recognize that there are certain weapons that, when used, can not only end up resulting in grotesque deaths, but also can end up being transmitted to non-state actors; can pose a risk to allies and friends of ours like Israel, like Jordan, like Turkey; and unless we hold them into account, also sends a message that international norms around issues like nuclear proliferation don’t mean much. And so I’m going to be working with Congress. We have set up a draft authorization. We’re going to be asking for hearings and a prompt vote. And I’m very appreciative that everybody here has already begun to schedule hearings and intends to take a vote as soon as all of Congress comes back early next week. Q Are you confident that you’ll get a vote in favor of action? The House of Representatives is set to vote on a full repeal of the Affordable Care Act. 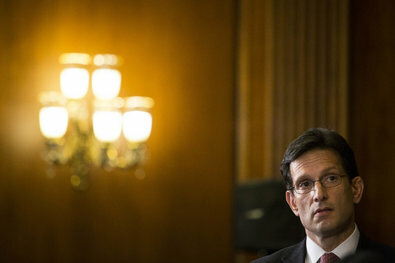 House Majority Leader Eric Cantor attempted to project a softer Republican tone on immigration during a speech at the American Enterprise Institute on Tuesday, but indicated there is a ways to go until Republicans and Democrats agree on an overhaul of the nation’s immigration laws. 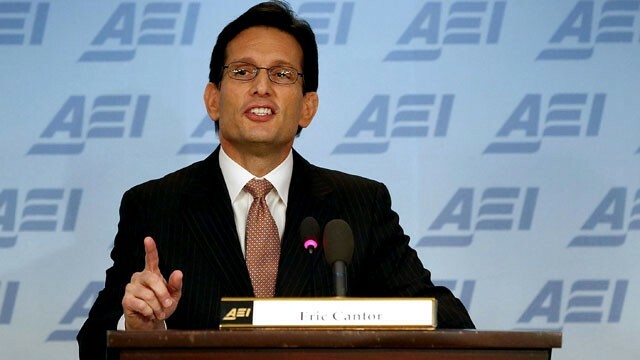 Today, House Majority Leader Eric Cantor delivered remarks at the American Enterprise Institute “outlining a number of major policy initiatives designed to ‘Make Life Work’ for more people.” Cantor’s speech, as prepared for delivery, appears below. Wonkblog will have more analysis of the policies shortly. In Washington, over the past few weeks and months, our attention has been on cliffs, debt ceilings and budgets, on deadlines and negotiations. All of this is very important, as there is no substitute for getting our fiscal house in order. There is no greater moral imperative than to reduce the mountain of debt facing us, our children and theirs. The House Republican Majority stands ready for President Obama and his party to finally join us in our efforts to tackle the big problems facing America. But today, I’d like to focus our attention on what lies beyond these fiscal debates. Over the next two years, the House majority will pursue an agenda based on a shared vision of creating the conditions for health, happiness and prosperity for more Americans and their families. And to restrain Washington from interfering in those pursuits. We will advance proposals aimed at producing results in areas like education, health care, innovation and job growth. Our solutions will be based on the conservative principles of self-reliance, faith in the individual, trust in the family and accountability in government. Our goal – to ensure every American has a fair shot at earning their success and achieving their dreams. 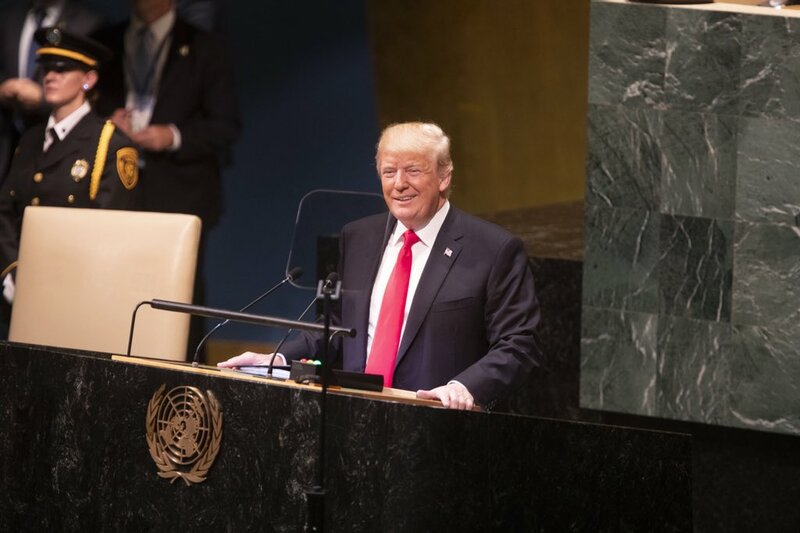 It is my hope that I can stand before you in two years and report back that our side, as well as the president’s, found within us the ability to set differences aside, to provide relief to so many millions of Americans who simply want their life to work again. In so many countries throughout history, children were largely consigned to the same station in life as their parents. But not here. In America, the son of a shoe salesman can grow up to be president. In America, the daughter of a poor single mother can grow up to own her own television network. In America, the grandson of poor immigrants who fled religious persecution in Russia can become the Majority Leader of the U.S. House of Representatives. In America, in Kitty Hawk, North Carolina, two bicycle shop mechanics gave mankind the gift of flight. The Wright brothers flew only 22 feet, 18 feet in the air, but they performed a miracle. As a result, only 66 years later, this great country of ours put a man on the moon and brought him back. We can do an enormous amount. That’s who we are. What a great commentary. In America, we do have higher expectations for our nation. Since our founding, we believed we could be the best hope to mankind. That hope led generations of immigrants to risk everything, to endure a tough journey to our shores, looking for a better future. The driving motivation for millions of immigrants passing by Lady Liberty in New York Harbor was the generation that came after them. And because of that hope – those high expectations – coupled with a determination to see them come true, every generation since has had it better off than the one before. Until now. Lately, it has become all too common in our country to hear parents fear whether their children will indeed have it better than they have. And for all of us parents, that is a scary thought. Let’s face it. It has gotten a lot tougher to raise a family here in America. Our goal should be to eliminate this doubt gripping our nation’s families, and to restore their hope and confidence so that parents can once again see a better tomorrow for their children. Together, my wife Diana and I raised our three children, Evan, Jenna and Mikey, and we couldn’t be more proud of the young adults they have become. Our nest is now empty, but I understand the pressure all parents are under, and the trying times they go through. Parents working, saving for school, paying for braces, helping with homework and going from one after-school activity to the next. It’s not easy. That’s why we worry so much. Where can you find an affordable home in a good neighborhood to raise your kids? Which health-care plan can I afford that allows you to see your doctors? Will the children make it through high school and get into a college of their choice, and if so, can you afford it? What about a career? Will that be available to them? These are real-life concerns. This is what keeps parents awake at night fearful that life won’t work out the way they hoped. During the last several years with the stagnant economy, too many mothers and fathers have had to come home, walk into the kitchen and tell their families they didn’t have a job anymore. How does a family like that save for a rainy day, when it just got tough to even make it through the next month? These families are desperate to wake up in the morning and have the nightmare over. The best way to restore their hope for the future and to heal our country is by making opportunity a reality for them and everyone. This comes with a growing economy, business expansion and start-ups creating jobs. Just like parents, Washington must start showing care for the generations ahead while leaving the parenting to the parents. With an eye toward Mr. Jefferson’s vision, since 1965, the federal government has poured hundreds of billions of dollars into improving schools in low-income areas – over $15 billion just last year. And frankly, the results have not matched the investment. Joining us here today is Joseph Kelley and his family. A heroic Dad, Joseph worried that the public school wasn’t helping his son. Rashawn flunked the first grade, and by fifth grade was three years behind on most subjects. The school actually put him in special education classes. Joseph would try and sit in on classes in order to help Rashawn, but was met with hostility, and even had to obtain a court order so Rashawn could have a tutor. Violence was so prevalent in Rashawn’s schools that eight D.C. police officers patrolled it on a daily basis. Mr. Kelly heard of the D.C. Opportunity Scholarship Program and dedicated himself to making sure Rashawn and his three sisters could gain access to a school that would put them on a path to graduation, and college – an opportunity he himself did not have. Within two years at a private school, Rashawn caught up to his classmates, and is now a student at the University of the District of Columbia. And his sisters, Domonique, Shakeyta and Rhunetta, are attending the Preparatory School of D.C. and are on a similar path to opportunity. I visited this school yesterday, and it is impressive. The kids are in a safe environment, with great teachers, terrific administrators, small class sizes and a mission that every kid succeeds. No one should deny Rashawn and his sisters this opportunity. Joseph Kelley, nor any parent, should have to wait for failing school systems to get their acts together. Throughout the country there are promising signs that we can bring schools and parents together to improve our educational system. San Francisco public schools adopted a funding mechanism according to what’s termed a “weighted student formula.” Under this policy, the more students a school attracts, the more money that school, its administrators and teachers receive. Low-income students are weighted heavier in the funding formula, as are children with disabilities, and those learning English as a second language. So, there’s incentive for schools to seek the more vulnerable population, and reasons for schools to differentiate themselves and excel. Imagine if we were to try and move in this direction with federal funding. Allow the money we currently spend to actually follow individual children. Students, including those without a lot of money or those with special needs, would be able to access the best available school, not just the failing school they are assigned to. And their options ought to include not just public schools or private schools, but also charter schools. A competitive environment, where schools compete for students rather than the other way around, gives every child from the inner city of Washington to the streets of Los Angeles, an equal chance at a greater destiny. One of our priorities this year will be to move heaven and earth to fix our education system for the most vulnerable. And when those children graduate from high school, we must expand their choices and college should be a viable option. In 1980, the average cost of college was roughly $8,000 a year. Today, it is over $20,000, and less than 60 percent of the students who enroll in a four-year program graduate within six years. Clearly, something is broken. According to President Obama’s former jobs council, by 2020 there will be 1.5 million jobs without the college graduates to fill them. While there is a persistent unmet demand of 400,000 to 500,000 job openings in the health-care sector alone. Recent reports indicate there are not enough applicants with the skills necessary to fill the jobs in the booming natural gas industry in America. Suppose colleges provided prospective students with reliable information on the unemployment rate and potential earnings by major. What if parents had access to clear and understandable breakdowns between academic studies and amenities? Armed with this knowledge, families and students could make better decisions about where to go to school, and how to budget their tuition dollars. Students would actually have a better chance of graduating within four years and getting a job. Helping students realize opportunity and a career, while keeping tuition costs low, makes common sense. Senators Rubio and Wyden have a proposal that they unveiled here at AEI, which addresses this goal. 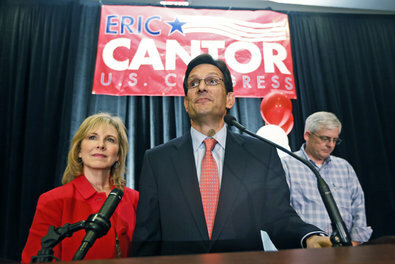 I look forward to working with them and Chairman John Kline in pursuing legislative action in the House. Over the course of this Congress, we will also work to reform our student aid process to give students a financial incentive to finish their studies sooner. We will encourage entrepreneurship in higher education, including for-profit schools. And we will fix the way we subsidize education by making the costs more transparent to parents, students and the millions of taxpayers who help pay some of the bill. We owe it to them. A good education leads to more innovation. Throughout our history, American colleges and universities have served as the crucible for the world’s innovation. They are a big part of why the United States remains the destination for the world’s best and brightest. Investment in education leads to innovation, which leads to more opportunity and jobs for all. Our problem? The investment we make is not yielding maximum returns. Each year our colleges and universities graduate approximately 40,000 foreign nationals with Masters and PhDs, many of whom are then forced to leave the country because there are not enough visa slots in our immigration system to permit them to stay. So rather than being able to invent things here in America, grow businesses or start one on their own, they do all of those things somewhere else. Fiona Zhou is here today. She is earning her master’s degree at the George Washington University School of Engineering and Applied Science. Originally from China, she’s been in the U.S. for five years, studying operations research in the systems engineering department. She’s pretty smart. She would like to stay here and invest her talents in America, and maybe even start her own company. But she has seen too many of her friends with advanced degrees have to go back home despite sharing her same dreams and aspirations. Last year, the House passed the bipartisan STEM Jobs Act which helped fix this problem. We will act again in this Congress, and we hope the Senate chooses to join us this time. I look forward to Fiona realizing her dreams and our country reaping the rewards of her hard work and talent. Whether it’s college or the cost of day care, making life work for more families means reducing the economic insecurity plaguing so many working moms and dads. Over the last 20 years, the world has changed. It used to be that one could make a career out of working for one company. Today, the average worker stays at his or her job for barely four years. Median income in 2010 was about the same as it was in 1997. Experts correctly point out that this statistic ignores that many working families are getting more benefits like health care from their employer and not just wages. But, explaining that rising health-care costs are depressing take-home pay is little consolation to a working mom. Her grocery bills are higher, her kids’ school needs are more expensive, rent is up – and now, she’s just trying to get by. And getting by is not the American Dream. As job markets are changing, more skills training and education are needed. Federal jobs training programs ought to make it easier for Americans who are out of work or who are changing careers to get the skills they need. Yet today, the federal government has a patchwork of over 47 different overlapping programs that are not dynamic or innovative enough to meet the needs of employers or potential employees. We can fix this, and we should be able to muster bipartisan support to do so. If you’re a working parent, you know there’s hardly ever enough time at home to be with the kids. Too many parents have to weigh whether they can afford to miss work even for half a day to see their child off on the first day of school or attend a parent-teacher conference. Federal laws dating back to the 1930s make it harder for parents who hold hourly jobs to balance the demands of work and home. An hourly employee cannot convert previous overtime into future comp-time or flex-time. In 1985, Congress passed a law that gave state and municipal employees this flexibility, but today still denies that same privilege to the entire private sector. That’s not right. There’s a police officer at home in my district, her name is Vicki. She is working a tough job, with long hours, while raising her children. Her life is made a little easier because as a local government employee, she is permitted to work some extra hours and save it up for a sick day or a school event. Imagine if we simply chose to give all employees and employers this option. A working mom could work overtime this month and use it as time off next month without having to worry about whether she’ll be able to take home enough money to pay the rent. This is the kind of common sense legislation that should be non-controversial and moves us in the right direction to help make life work for families. Another step we have to take is on taxes. There is a lot of talk about taxes in Washington right now. For most families, tax preparation is hard and it is time consuming – this time of year especially. Think about what they’re going through. What tax form are you supposed to fill out, is it more beneficial to file jointly as a married couple or separately? Is a truck or gas mileage deductible or are you forgetting something that the IRS gives you credit for? In 1935, the Form 1040 was accompanied by a two-page instruction booklet. Today, taxpayers must wade through over 100 total pages of instructions. Just filling out a W-4 at a new job is confusing. You shouldn’t need a worksheet to know how many dependents you have. Chairman Dave Camp and his committee are already underway in the effort to responsibly rewrite our nation’s tax laws. As in education policy, health care and all else, tax reform, should reflect the priorities of working families and the future they’re trying to shape for their kids. If nothing else, we must stop putting special interests ahead of our working families’ best interests. Loopholes and gimmicks benefitting those who’ve come to know how to work the system in Washington, are no more defensible than the path of wasteful and irresponsible spending we’ve been on for decades. Working families should come first. Everyone agrees a fairer, simpler tax code would give us all more time. In our attempt to make the tax code simpler, we must continue to demonstrate support for young parents who invest in having kids and raising a family. They are America’s most valued investors. In 1997, a Republican Congress created the child tax credit specifically to help ease the financial burden of families raising children. In 2001, it was expanded. Such a policy helps to limit the size of government and results in fewer Americans looking to the government for support. Leading up to April 15th, families will be besieged by concerns over their taxes. But it’s health care and a concern for a healthy family that always worry parents most. Most Americans have come to expect the best health care in the world. But there’s no doubt our current system is too expensive and too complicated. 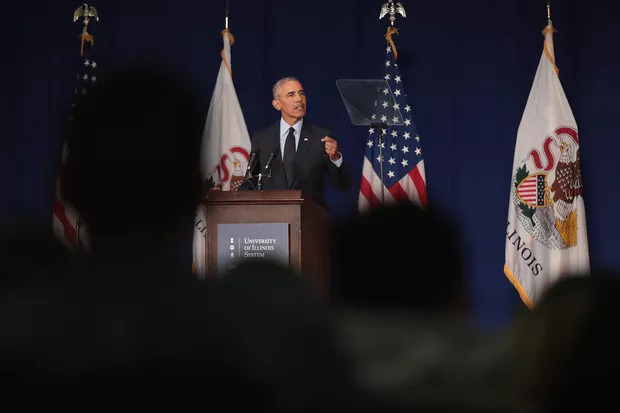 President Obama’s health-care law resulted in higher premiums and costs for families, and has made access to quality health care and innovation tougher. If we want to reverse this trend, we should start by choosing to repeal the new taxes that are increasing the costs of health care and health insurance, like the medical device tax. With us today is Erin Shucosky. Erin has been a clinical nurse for 30 years in Baltimore. She spent the past ten years coordinating the research on a study to approve new replacement discs to treat patients suffering from crippling neck and back pain. Over time, Erin discovered she suffered from the very condition her work aimed to treat. On her days off, Erin would spend time at her daughter’s lacrosse tournaments barely able to move, and would then go home and spend most of her time there with an ice pack on her neck. So she went in for surgery and got those new disc replacements. Erin’s in a cervical collar today, but thankfully she’s on the mend. The new medical device tax in ObamaCare makes it harder for researchers to develop these innovative devices in the U.S. and thus makes it harder for patients like Erin to get the care they need. ObamaCare has unnecessarily raised the costs of our health care. Even those who have pre-existing conditions could get the coverage they need without a trillion dollar government program costing us all more. And that’s only the tip of the iceberg when we talk about health-care reform. Many families, like mine, are dealing with the challenges presented by aging and very sick parents. They rely on Medicare for relief. In 1965 the federal government created Medicare modeled after the standard Blue-Cross Blue Shield insurance plan commonly available at that time. In the past 50 years both health care and health insurance have changed dramatically, but the government and Medicare have not kept pace. Medicaid isn’t doing any better. Under the Medicaid system the rules are set in Washington, but much of the bills are paid in our state capitals. Collectively states are spending more on Medicaid than they do on K-12 education. And states don’t have the flexibility to innovate in order to lower costs and provide better care. As a result, in many cases, patients have been swallowed up by the system, and have become an afterthought. These programs are broken, and many patients are going without proper care. That’s not fair to the people who depend on these programs. We’ve got to fix them. We can modernize Medicare so it isn’t so complicated for seniors or health-care providers and make it easier for them to get the care they need in a cost effective manner. We should begin by ending the arbitrary division between Part A, the hospital program, and Part B, the doctor services. We can create reasonable and predictable levels of out-of-pocket expenses without forcing seniors to rely on Medigap plans. Seniors who choose to receive their health-care treatment through a group of doctors and hospitals working together to control costs, should share in the savings through lower Medicare premiums and out of pocket costs. This is both cost effective and good for seniors. We can provide states more flexibility with respect to Medicaid that will allow them to provide better care for low-income families in a way that ultimately lowers costs. Options for states should include streamlining the process for determining eligibility, and allowing them to offer health coverage through patient-directed health care or flexible benefit programs. And we must make it faster and simpler for states to gain approval of federal waivers to modify their Medicaid programs. Long term, controlling health-care costs will require smarter federal investments in medical research. Many of today’s cures and life saving treatments are a result of an initial federal investment. And much of it is spent on cancer research and other grave illnesses. One of the most courageous people I know is a young girl from Richmond named Katie. I’ve known Katie for many years. Katie was diagnosed with a brain tumor just after her first birthday. This is every parent’s worst nightmare. For years, she went through different treatments and therapies with little success. At age 7, she and her parents headed to St. Jude Children’s Hospital in Memphis. She had a positive radiation treatment and is doing well today, but this month she will again travel back to St. Jude as she often does. Katie became a part of my congressional office’s family and even interned with us. We rooted for her, and prayed for her. Today, she is a bright 12-year-old that is making her own life work despite ongoing challenges. Katie is down here in the front row. Katie, thank you for being here with us. Prayers for Katie’s recovery help. But we also must pray that scientists and researchers find cures to these diseases so our parents and grandparents don’t leave us too soon, or that children like Katie are not robbed of a healthy life. There is an appropriate and necessary role for the federal government to ensure funding for basic medical research. Doing all we can to facilitate medical breakthroughs for people like Katie should be a priority. We can and must do better. This includes cutting unnecessary red tape in order to speed up the availability of life saving drugs and treatments and reprioritizing existing federal research spending. Funds currently spent by the government on social science – including on politics of all things – would be better spent helping find cures to diseases. Scientific breakthroughs are the result of and have helped contribute to America’s being the world’s capital of innovation and opportunity in nearly every field. For this and many other reasons, people across the globe want to become a part of our country. We must never diminish that desire, or worse, become a place that is no longer desirable. It’s no secret that there are more than 11 million people here illegally, many of whom have become part of the fabric of our country. They, like us, have families and dreams. While we are a nation that allows anyone to start anew, we are also a nation of laws, and that’s what makes tackling the issue of immigration reform so difficult. In looking to solve this problem soon, we must balance respect for the rule of law and respect for those waiting to enter this country legally, with care for the people and families, most of whom just want to make a better life, and contribute to America. A good place to start is with the kids. One of the great founding principles of our country was that children would not be punished for the mistakes of their parents. It is time to provide an opportunity for legal residence and citizenship for those who were brought to this country as children and who know no other home. I’m pleased that many of my colleagues in both chambers of Congress on both sides of the aisle have begun work in good faith to address these issues. And I’m pleased these discussions make border security, employment verification and creating a workable guest worker program an immediate priority. It’s the right thing to do for our families, for our security, and for our economy. There are some who would rather avoid fixing the problem in order to save this as a political issue. I reject this notion and call on the president to help lead us towards a bipartisan solution rather than encourage the common political divisions of the past. The message of this sonnet should sound familiar to most of us. The image of the Statue of Liberty blended with the stories of our immigrant past serve as humble reminders of who we are as a country. It’s the reason I’m able to stand here before you. Like so many of their generation living in Eastern Europe at the turn of the last century, my grandparents fled the vicious anti-Semitic programs of the czars of Russia to come to America. Widowed at a young age, my grandmother raised her two sons in a tiny apartment atop a grocery store she and my grandfather had opened. With little but her faith, thrift and hope for a better tomorrow, my grandma worked seven days a week to ensure my dad and uncle could realize the promise of this great country. And today, my children and I stand as proof of the possibility to what may have seemed to her like an impossible dream. To uphold this legacy of those who’ve come before us, Washington will need to make choices. And in a divided government, these choices are often tough. We in the House Majority remain committed to making those tough choices and stand ready to lead with this president. “Higher” – Milton Wright once shouted from the air. “Higher.” Making life work for more working people, and all who want to work, is the best way to a future of higher growth and more opportunity. U.S. House Speaker John Boehner (R-OH) (C) and House Majority Leader Eric Cantor (R-VA) (L) arrive at a news conference on the ”fiscal cliff” on Capitol Hill in Washington, December 21, 2012. The House of Representatives on Wednesday passed an extension of borrowing authority under the federal debt limit to May 19, putting the Republican plan on a fast track to enactment after top Senate Democrats endorsed it. The House of Representatives on Wednesday voted to approve a three-month extension of the debt limit in a bill that concurrently pressures lawmakers to adopt a budget or have their congressional pay withheld. The vote passed by a count of 285-144. Thirty-three Republicans opposed the measure, while 86 Democrats voted to approve it, sending the legislation to the Senate where it is also expected to pass, according to Senate Majority Leader Harry Reid. 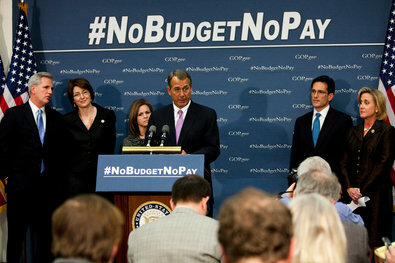 Speaker John A. Boehner, center, and other House Republicans on Tuesday at a news conference urging a set budget. Top House Republicans Tuesday opposed a bipartisan compromise that passed the Senate in the wee hours of New Year’s Day to avert the “fiscal cliff,” as new studies conclude that the compromise on taxes and spending would add trillions to the U.S. deficit. If House Republicans tweak the legislation, as they seem likely to do, there’s no clear path for its return to the Senate before a new Congress is sworn in Thursday.